“If the US does not want to sell Patriot to us, tomorrow we may buy another S-400 system and we also can purchase other air defense systems,” Cavusoglu said. The foreign minister dismissed as nonsense the attempts of some countries to put into question Turkey’s membership in NATO amid the S-400 deal. Cavusoglu also recalled a proposal made during the visit to the US on “seting up a technical working group to iron out the dispute over the S-400.” So far, Ankara has not received any positive answer, he noted. “If we can’t have the F-35 jets, we will be forced to satisfy our fighter jets need somewhere else,” he emphasized. The news about the Russian-Turkish talks on the purchase of S-400 systems first came in November 2016. Moscow confirmed that the contract had been signed on September 12, 2017. Erdogan announced that Ankara had made an advance payment. The United States has been taking vigorous efforts to prevent Turkey from purchasing Russia’s S-400 air defense systems. Earlier, the Pentagon stated that Turkey’s purchase of the S-400 system jeopardized Ankara’s participation in a program on creating advanced US F-35 multirole fighters. Hey Buddy!, I found this information for you: "Turkey may buy another S-400 if US refuses to supply Patriot system". 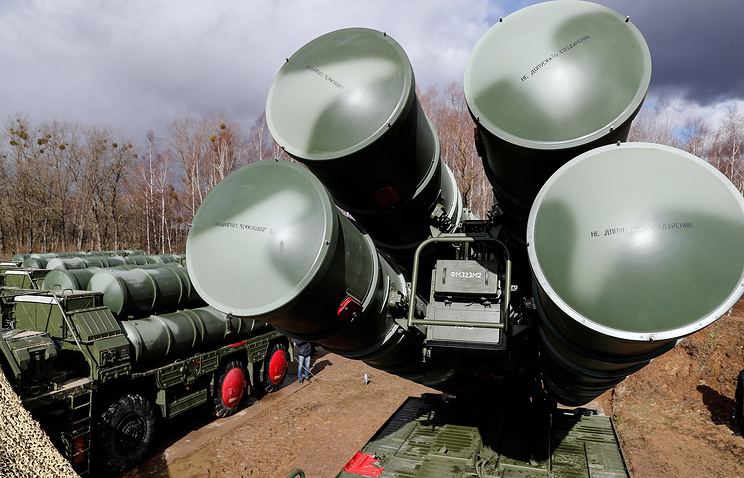 Here is the website link: https://russophile.org/turkey-may-buy-another-s-400-if-us-refuses-to-supply-patriot-system/. Thank you.